This is something I never saw online or on magazines: A Development CD-ROM Drive Box for use with an M2 development system. 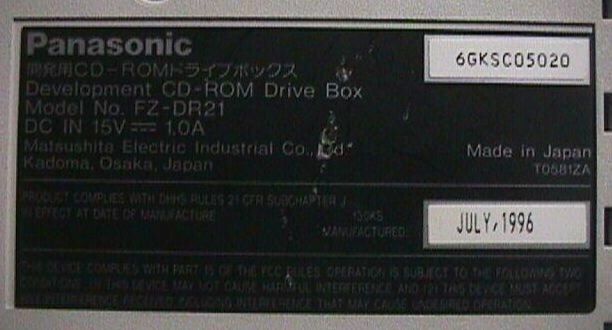 The existance of this development unit, with the 3DO logo on it, means that the M2 system was probably very near completition when it was sold to Matsushita! So the reason why the system wasn't marketed remain a mistery to me! I could only suppose that the Japanese electronic giant tought it wasn't powerful enough to be marketed and started again to work on the system before realizing it was too late! All the pics in this page were sent to me by Ted Rusniak. Obiously I am extremely grateful to him for all the pics! The top of the unit. Basically it has the same look of the actual M2 system made by Panasonic (if you want to see one of them look at my M2 page). Particular of the lid. I wonder if it is a full-working system or if it is only a CD-ROM... someone could help me clarify this? I think it was only a small part of the development system but I would like to know if it contain the complete chipset or only a part of it... Also it would be interesting to know how much this development system was similar to the actual Matsushita Development system. The bottom of the unit. 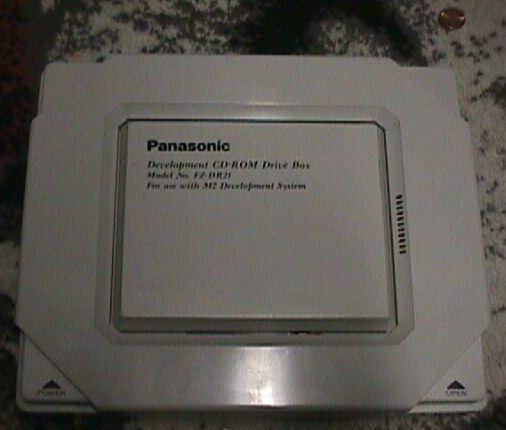 Note the 3DO logo! I guess it was part of an early M2 development kit. 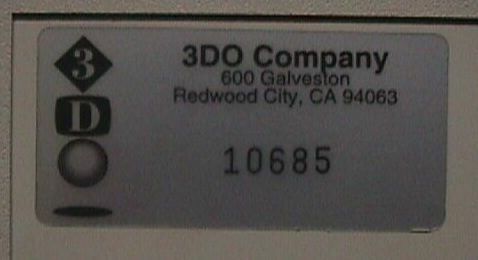 A particular of the label with the 3DO logo. As far as I know the unit was originally owned by a (former ?) 3DO employee. 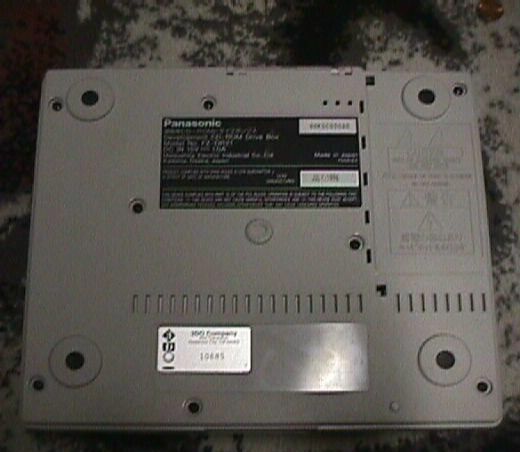 A particular of the Panasonic label. Front of the unit. 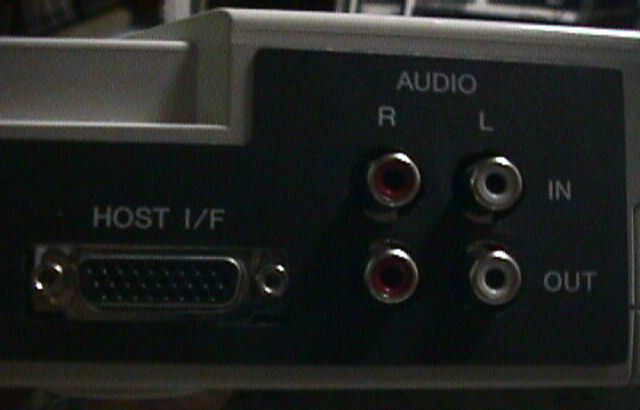 Note the two 9-din joystick ports and the PC-Card connector. Rear of the unit. It seems there are not video-out connectors. The connector in the centre of the unit was probably used to connect the box to a computer. A particular of the rear connectors. The best site for people interested in M2. Up-to-date info too!